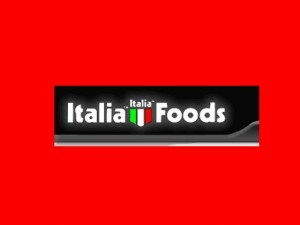 Italia Foods is a family owned pasta manufacturing company which produces custom-made pasta for retail stores and foodservices. The company is based in Illinois in USA. Italia Foods was founded in 1972 in Des Plaines, Illinois as a frozen food company. The founders of Italia Foods, Arsenio Carabetta and Nicolina Carabetta were immigrants from Italy. The couple started their business by selling their products to the local Italian community. It gained popularity very fast and soon became a part of the culinary history of Chicago. Over the years, it expanded its business and added more products to its product line. The company still uses the traditional recipes to manufacture its products. Peter, Maria and Phil, the children of Arsenio and Nicolina Carabetto, manage the company and make sure the frozen meals are of the highest quality. They also opened an Italian restaurant in Florida. All the products used in the restaurant come from the company. Italia Foods has a range of products in its product line from the Trattoria Classics skillet dinner to Quick Frozen foods. They also sell pasta with and without sauces including manicotti, frozen fettuccine and ravioli. The company also manufactures organic pasta. The manufacturing plant is certified by USDA/HACCP. The Portion brand of the company manufactures pasta, meals and sauces. The Portion pasta is available in a variety of shapes and sizes including spaghetti, fettuccine, udon and many others. As they are made from 100% durum wheat flour, it retains its shape even after cooking. The company also makes organic sauces and sauce pellets. The sauces are available in a variety of flavors including marinara, cheese sauce, meat sauce, white wine, mushroom, chicken and beef gravy, herb sauce, and garlic sauce. The skillet meals of Italia Foods are also available in variety of packaging. The main recipes include Lasagna, Chicken parmesan, Chicken Alfredo, Shrimp Garlic and Herb, and Rigatoni and meatballs. The company supplies its products to supermarkets, distributors, airlines, institutional customers, industrial customers, and hotels. The company also manufactures a private label range of products for its customers. It is also known for its low carb pasta, which has been welcomed by hundreds of people suffering from diabetes. The carbohydrate level in the low carb pasta is only 11. Our company is produce crystal powder sugar,Coconut Sugar,Coconut Oil,Virgin Coconut Oil and Coconut Nectar. Our products are directly manufactured by the farmer, free from the use of chemicals and processed using traditional tools. Our farmers palm plantations have been checked and audited by CU / CONTROL UNION (USDA – ORGANIC CERTIFICATE), We are working with other companies to make these certificates, so that is listed in the certificate is not the name of our company, so we named our product NATURAL because the certificate is not on behalf of our company. We can guarantee our products are free of chemicals.